The temperature during the year cans vary between 22° and 37° Celsius degrees. 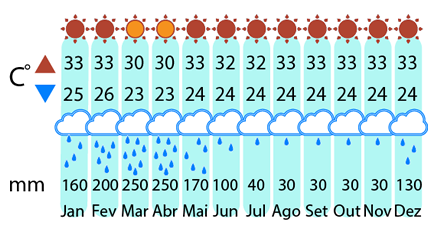 The rain season begins in January and goes until end April. The rest of the year is very dry, what influences the lagoon’s level of water. 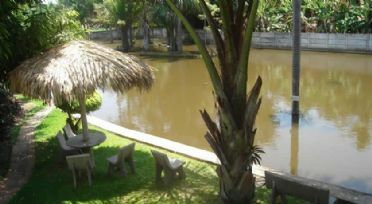 The most part of the lagoons have no water during the dry season (between October and February). Arrival in São Luís and accommodation in hotel with air-conditioned vehicle. 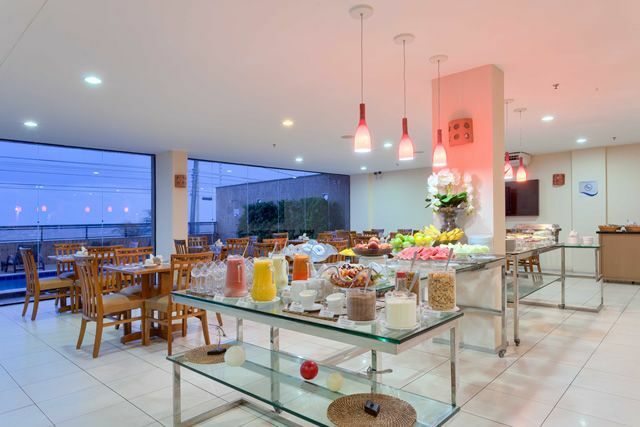 Overnight stay in São Luís with breakfast. 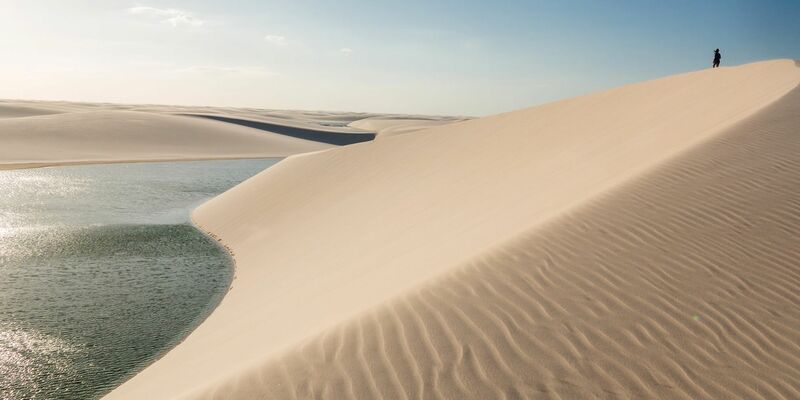 Set out in the morning between 6:50 am and 7:40 am in an air-conditioned bus up to 30 seats travelling along 270 km of paved road bound for Barreirinhas (gateway to Lençóis Maranhenses); trip duration 5 hours. 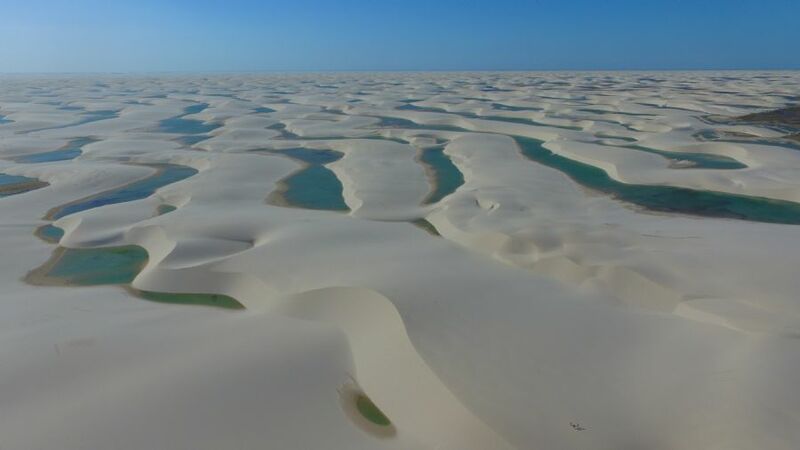 After getting settled in the inn, departure at 2:00 pm for excursion in a 4x4 ( no air conditioning), Rio Preguiça is crossed by ferry to continue the trip until the Grandes Lençois Maranhenses National Park, then the trip begins with an excursion on foot to visit the beautiful Lagoa Bonita. Return to city after 6:30 pm. Departure in the morning at 8:30 am to the port in Barreirinhas, set out in motorboat down Rio Preguiça towards the ocean. Breakfast at the hotel, (the check-out should happens until 12:00 am, but you can let your baggage at the reception). 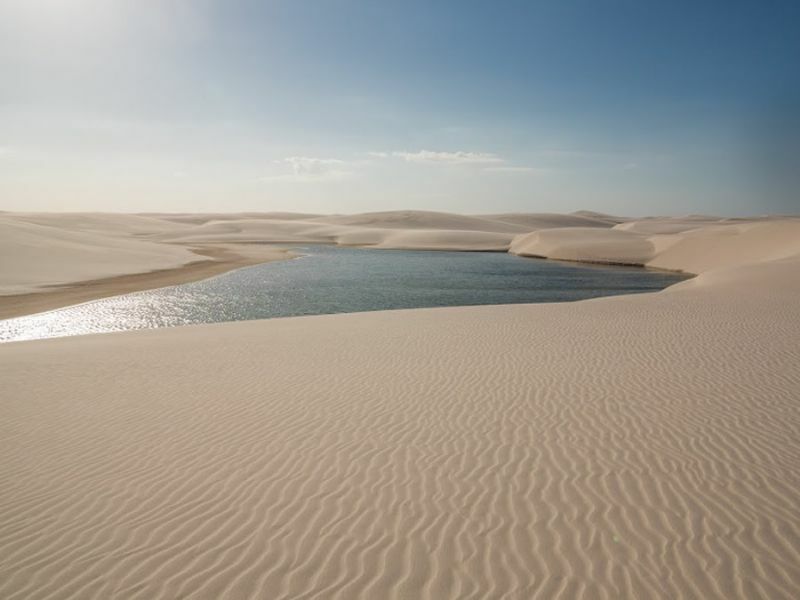 At 09:40 depart for excursion in a 4x4 ( no air conditioning), Rio Preguiça is crossed by ferry to continue the trip until the Grandes Lençois Maranhenses National Park, then the trip begins with an excursion on foot to visit Lagoa Azul and Lagoa do Peixe. Return to city after 01:00 pm. 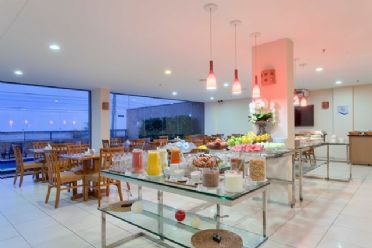 Overnight in São Luís with breakfast. I just returned from Brasil, as I had added Rio and Iguaçu Falls to my trip. The part with Brasil Planet was super!!! The drivers to and from the airport were prompt and courteous. 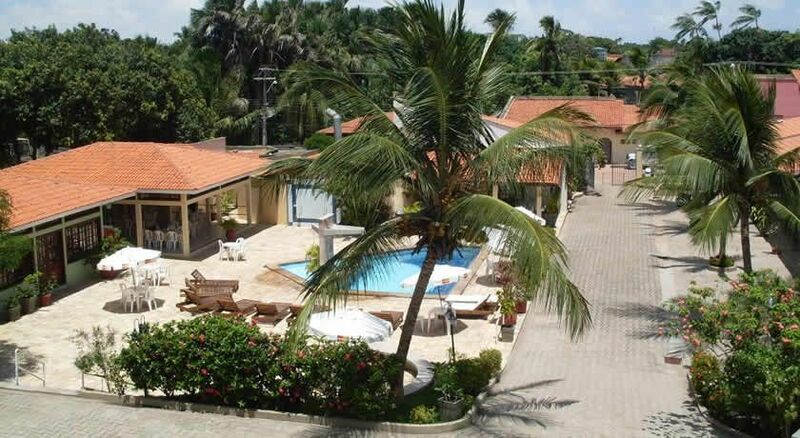 The hotels were very nice and I liked being on the beach in São Luis , but being in town in Barreirinhas. The bus to and from Barreirinhas was fine. 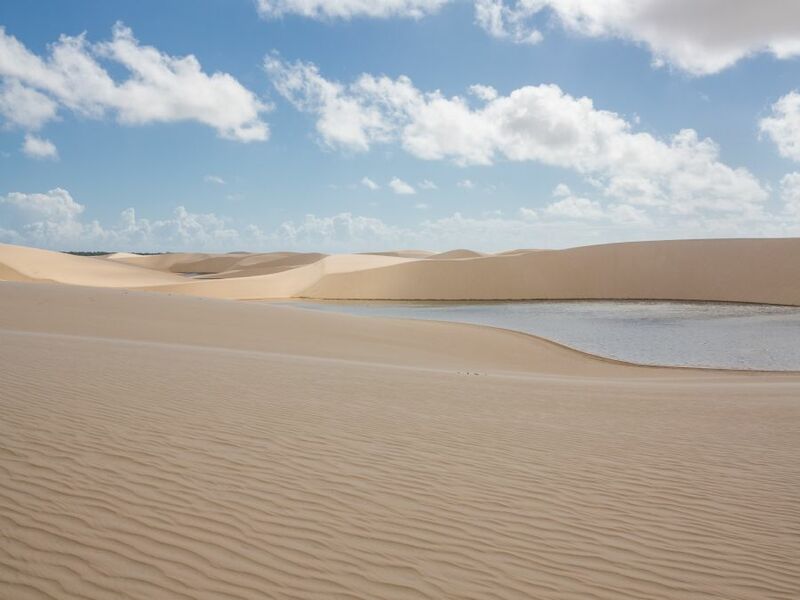 I loved the trip to the dunes at Lençóis Maranhenses …just what I wanted. The river trip was, also, fun with time at different dunes, the lighthouse and the beach. The tubing trip was a great adventure… I wish it could have been longer as it was such fun. All the guides were great in explaining what they could in English and listening to my Portuguese. All in all, I couldn’t have found a better company to do what I wanted with such success!!! You were also great pre-trip ! Thanks again for many wonderful memories !!! Sorry for late response to the attached e-mail below. I am travelling in Peru and have been a bit busy. I would like to say my appreciation for your kind support & encouraging me to participate in the tour this time without English speaking guide. Please be informed of the followings what I thought after the tour. 1. Tour itself was managed properly & correctly. 2. For travelers not speaking Spanish but hoping to participate in a tour (to be carried out in Spanish language),written detailed tour schedule information such as follows would be most important points on their enjoying the tour. 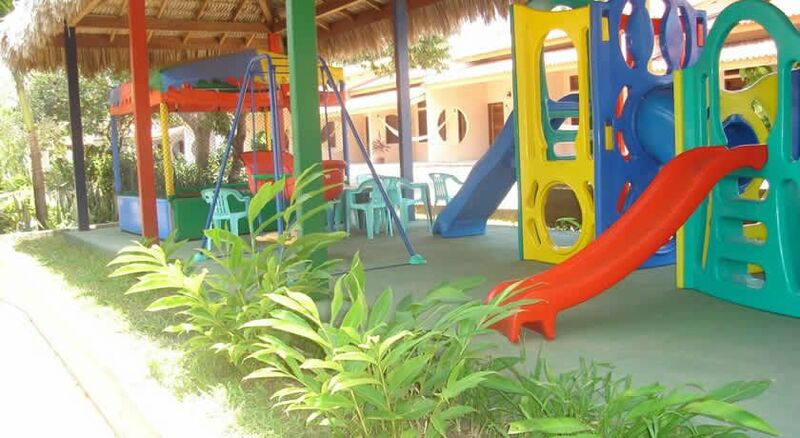 * Written information on pick up time & detailed place from the hotel participants are stayed. * During the tour, what time we will leave after short rest or exercise & where the meeting point to leave together for the next. * In case multi days tour, if someone would pick up a participant at the place known each other or a participant to move to the designated place by himself. 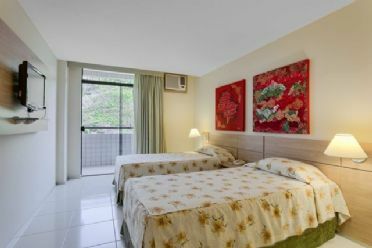 * Further, after finishing the tour activities, if a tour guide to take all participants to the place they had stayed before starting activities on that day. * These points should be informed in general through the voucher or e-mails, and after starting the tour, simple written memo paper to be given each time to all participants would be very supportive and understandable for not speaking Spanish travelers to avoid misunderstanding. 3. In this tour I participated, each guide was kind & care for everybody and therefore the tour activities were kept smoothly. However, when returning to the harbor after day 2 activities, nobody had informed me if someone pick up each participant and take to a hotel for waiting to be picked up to return to a respective places, and nobody was there. 4. 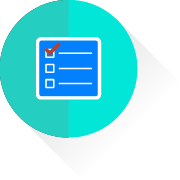 Services would be done for a client and not to be done for easing or minimizing a tour staff work without considering a tour participant to have more comfortable time. 5. In general, I have really enjoyed your tour and appreciated your good tour management. * If reception staff to speak a bit more English, further be appreciated. This time, I have enjoyed this tour very much and appreciate Brasil Planet. A participant in the tour from Japan not speaking Spanish. We got back from an amazing trip yesterday!! I want to thank you for the great organization and your quick responses to our questions. Everything was planned very well and the tour operators you work with, were very friendly and professional. We will recommend your company for sure! We would like to thank you for an extremely well organized tour! 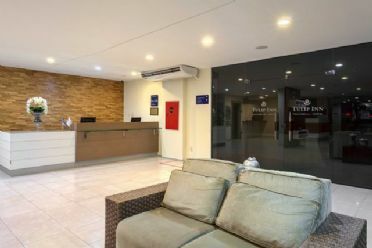 Everybody was always on time and took care of all of the details - we were impressed by how relaxed we felt, given that the logistics are not simple because of how many locations we were visiting. The destinations were lovely, especially the Lencois Marahenses national park. 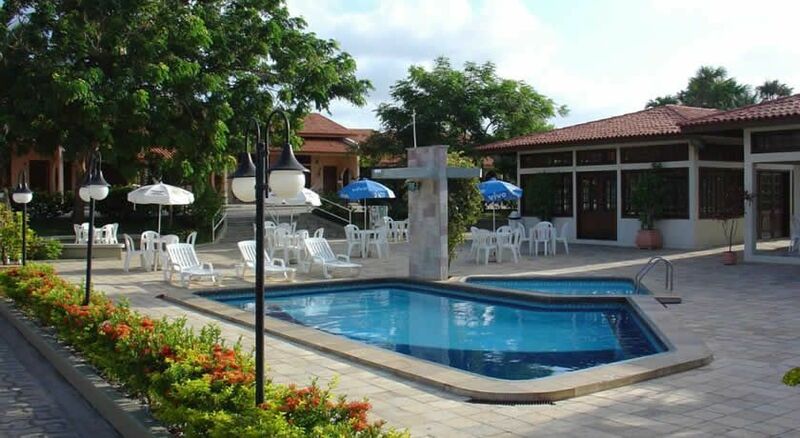 We would recommend anyone going to this park to select Brasil Planet for peace of mind and excellent value for money. Trip was good thank you. The guides were kind and correct. I have just on concern. First is about the assistance. The first transportation (actually most of them) got delayed, and when I phoned the “emergency contact” I realized that no-one spoke neither English nor Spanish. I felt a bit worried after that, as I realized I had no chance to mend any problem by myself. Thank you for making the trip memorable, everything was perfect more than what I expected, the airport pick up, outstanding hotel, hotel pick up, the tour for two days and dropping me back in airport, everything was perfect and timing, I have nothing to complain, the guides were very kind and polite. 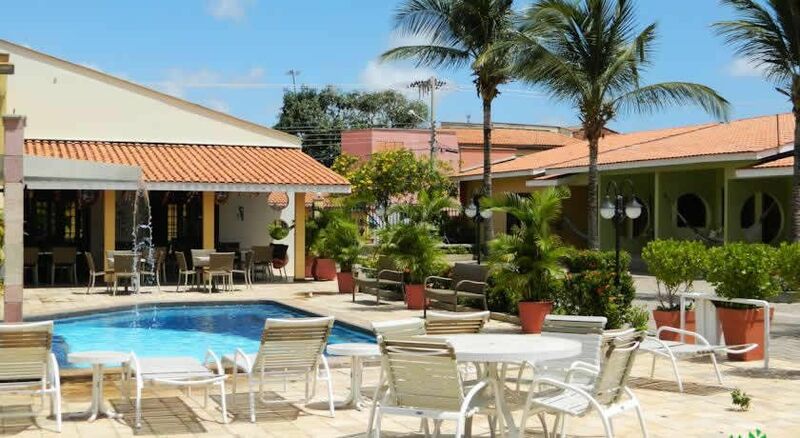 I have already recommended Brasil Planet to three of my friends around the world. Thank you for making my days in Brazil as unforgettable experience. I am sorry that i am a bit late. Although there was less water when I went to desert, the secenry was very fansinating and left me a deep impression. In onther words, it is worth to go there whenever it is. I enjoyed every minute of this tour. The vehicles, services and hotels all were pretty good and well-arranged. Valeria was also very helpful. merci beaucoup de nous avoir indiqué le restaurant senac au centre historique. on s´est régalé ! et merci d´avoir pris le temps de nous rencontrer hier. en rentrant en France on mettra plein de super avis sur votre agence ! we were very pleased to travel with your organization. Everything worked as promised. 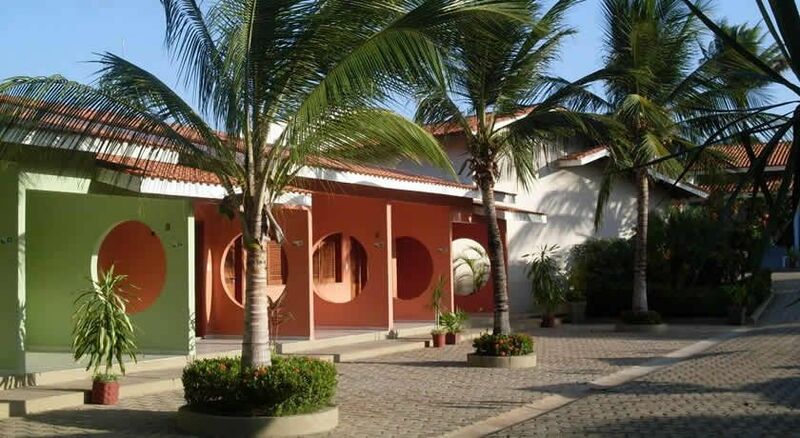 Accommodation was excellent, your guides friendly and very helpful, and what impressed me most was the unbureaucratic way we could get our son into the trip at rather short notice. thank you very much. 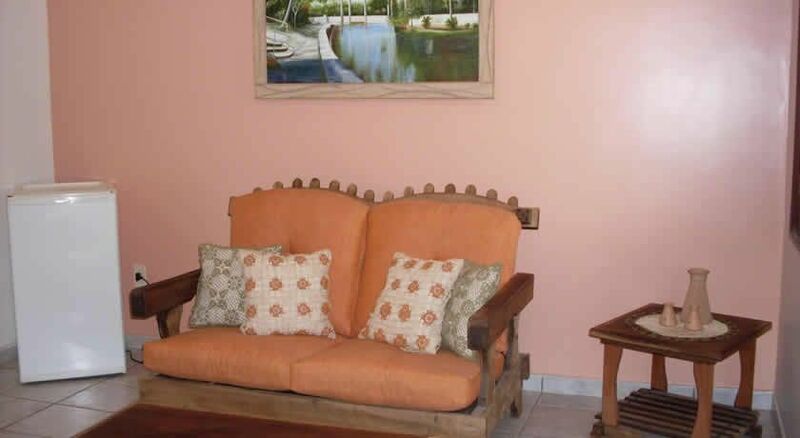 Back at home I´ll recommend your company in TripAdvisor. We are healthy and happy back from Lencois Marahenses. It was a great trip! Thank you for recommendation and organizing. Everything was perfect! The amount in euro fits well. Hi Valeria! Sorry for answering you so late! I have just arrived to my country after my vacations in Brazil. I would be very glad to give you my opinion since i liked a lot the tour with you! I will also leave my feedback in TripAdvisor. I did the 1 nights and 2 days tour to the Lençois Maranheses with Brasil Planet and I am so glad i chose this company to do it! 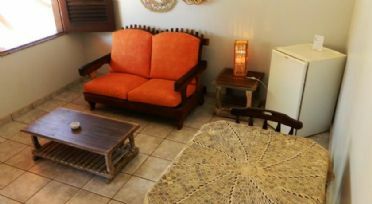 They were very very kind to me even during the booking process and all along the trip and also very punctual and organized; nothing at all went wrong. The first day a bus picked me up from my hotel in Sao Luis and took us to Barreirinhas where we had some free time to rest a little bit and leave our things in the hotel, which by the way was very clean, well located and nice (i stayed in Pousada d´ Areia); the only thing i would complain about it is that the Wif-fi didn’t work at all during my whole stay. In the afternoon, we visited the Lentos Maraheses park with a very cool guide who answered all of our questions. The landscapes are just from another world and words are not enough to describe the beauty of this place. We returned at night to the hotel. 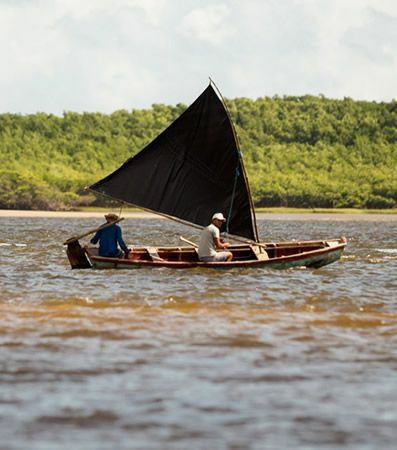 The next day we had our trip on boat in the Preguiças River, we visited Vassouras, Mandacaru and Caburé. The trip is really nice and well organized so you can do a lot of things: visit more lençois, play with little monkeys, ride an ATV, rest in the beach, eat delicious food, etc. 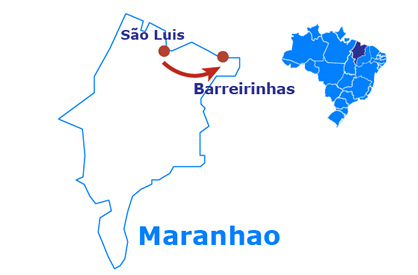 We got back to Barreirinhas at the afternoon and the the transfer took us back to our hotel in Sao Luis. 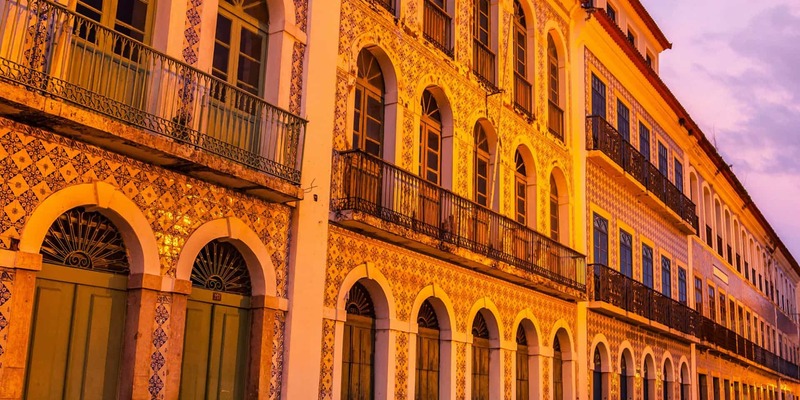 I really recommend this tour and specially with Brasil Planet! Thank you so much for providing such a wonderful tour to Lencois! Whole itinerary was really well-organized and quite satisfying. Staff involved in the tour were also friendly and kind with warm hospitality. Only one problem we had was communication in "English"... All the guides were not able to understand English so some other guests helped us translate English into Portuguese. Other things were no any problem! Thank you again, Valeria, for your quick response all the time and wonderfully memorable tour to Lencois! I´m so happy to join your Brasil Planet tour. I think the entire trip was excellently handle. Being that I dont speak Portuguese I was very nervous about the trip, but the bus drivers and tour guides were very helpful. The hotel in Barreirinhas was very nice. They even even allowed me to get cleaned up after the last excursion before getting on the bus. Your help was greatly appreciated and you did a great job communicating what was needed for booking. Simply put we had a wonderful time with the plans you made. Everything that was promised was delivered. The hotels were good. 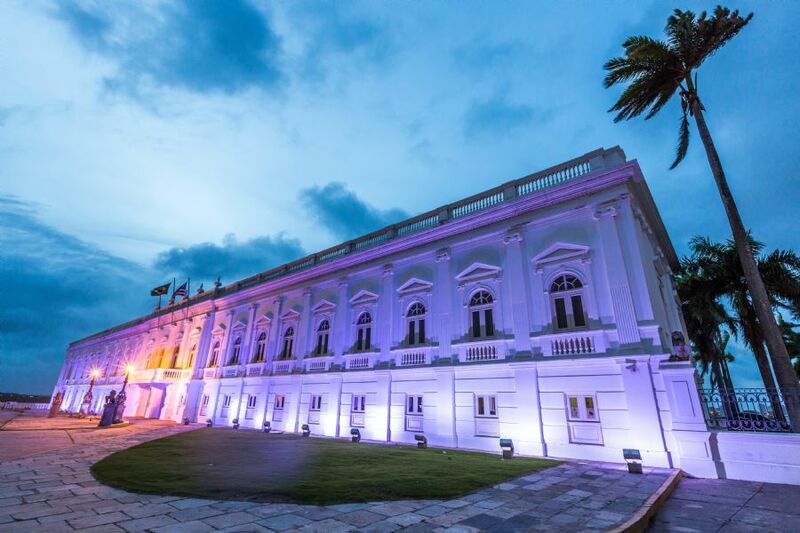 The Grand Hotel is in a great location to explore the historic center, but it is in need of maintenance. Our room was changed twice due to the door lock not working and the other because the safe did not work. Still, these were minor inconveniences. I would not hesitate to use or recommend Brasil Planet. 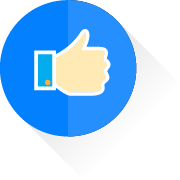 I am very happy to write a review for your company. We had a fantastic trip and Leonidas was an excellent guide. The tours were great and he knew how to pace the group so we weren´t landing at the same spot as the hundreds of other tourists. Leonidas did the perfect amount of letting us take in the scenery and giving information. Some guides feel the need to fill all the quiet time but he was perfect in that. The drivers were wonderful too. Very professional and skilled driving over the difficult terrain. I will try and post something on Trip Advisor. Here are a few photos. Thank you for the great tour and the hotel Porto Preguica was perfect. I enjoyed the tour very much. One of your guide can speak English and I could understand everything about the tour. Everything was all smooth and very nice. Thank you very much for your all effort. The trip was recommened by a friend of mine, who did it a year before. I really enjoyed it very much. The organisation was perfect. The trips by 4 wheel car to the dunes and boat were great. We had a lot of fun. The guides on the tours were very polite, supportive and friendly. They even dropped us directly at the airport on our way back. Thank you very much for that as well. The trip was woth every penny... :-) :-) I will tell other people about this wonderfull experience. We are sorry for this belated answer. We would like to thank you personally: you´ve been very reactive & very helpful although we asked you on very short notice. We have been very impressed with the overall organisation of all the operators involved (bus to/from Barreirinhas, tours, hotels) as well as their kindness. 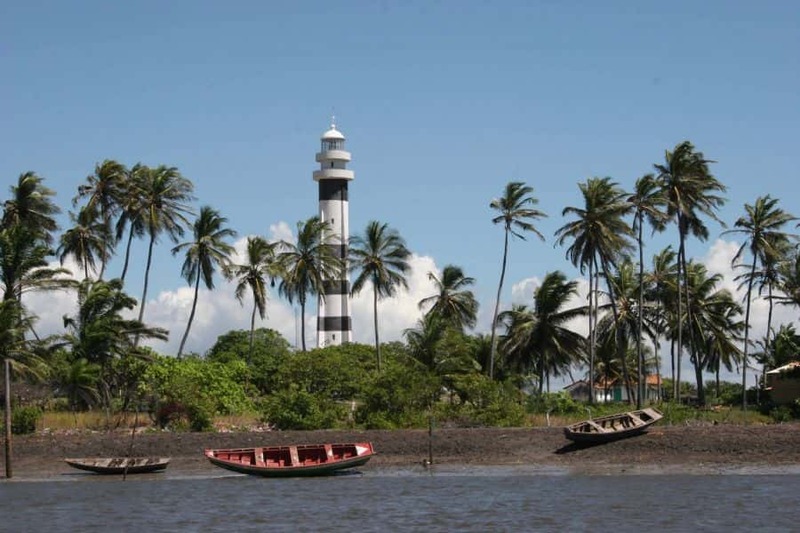 An unexpected accident when leaving Sao Luis didn´t even alter the mood of all travelers. 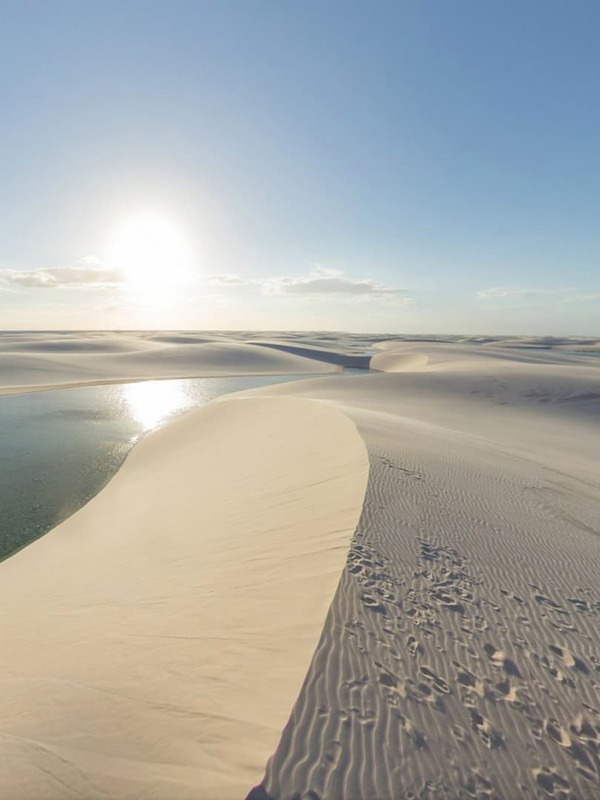 Finally, let´s finish with the best: Amazing Lençois Maranhenses! It was a long trip from São Paulo but totally worth it. A must see for world travelers. 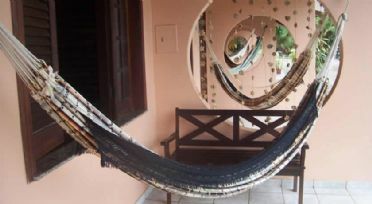 Wonderful experience that we recommend to all visitors in Brazil. Thank you Francesco and Brasil Planet . The trip was amazing! The sand dunes were amazing and our guide was very knowledgeable and friendly! The posada do Buriti we were staying at also had very helpful staff, they actually took us to the local funfair where Wesley was playing! The second day on the river and the beach was amazing too! We met some very nice people on the tour too, friends for life! Thank you for all your help and I would like to say I will never forget this trip! We have enjoyed the trip a lot. Thanks so much for your help and quick feedback. We appreciate your professionalism. 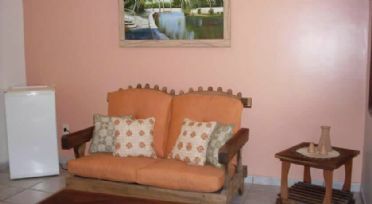 Hi Francesco, I just wrote a very long review on Tripadvisor! Thank you very much for all your help! Our tour was so well planned and everything went well! The trip was amazing! The dunes were spectacular, even though there was no water (or not a lot of water). When we asked you to change day 3 for us to go there again, it was organized by you quickly and professionally, awesome! The first day was amazing, seeing the beautiful dunes, the guide did not speak a lot, but the dunes compensated for that. 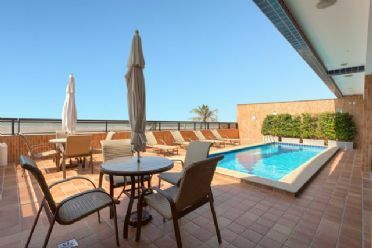 We were staying at the pousada d’aria which was really nice with a balcony – we wouldn’t have thought that the weather was so nice, otherwise we would have chosen a pousada with a swimming pool J - but it was very nice staying there! The second day we went to Atins, unfortunately we had bad weather so we shortened the trip, but our guide was really cool and funny and so it was really nice! The third day we went back to the dunes with an awesome guide and it was just beautiful! The pickup from Sao Luis and return were perfect too. 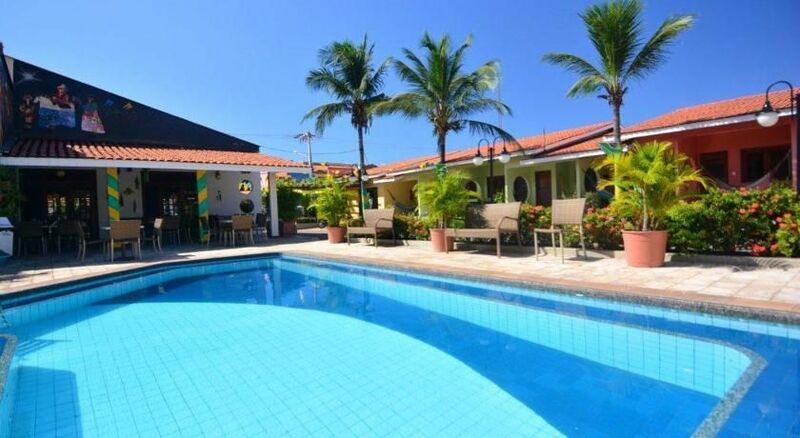 I really can recommend the trip, it was the highlight of our trip to Brasil. Only next time I would take a pousada with a pool, after the hot dunes J.
Francesco, many thanks for arranging a wonderful trip. The sand dunes are a marvel to behold. We were entirely satisfied with the service you offered and for our special wishes concerning choice of pousada and staying on for 1 extra day in Sāo Luís. Your organisaton was perfect and always on time. The excursions were unforgettable. We will certainly recommend you to all our friends. Thank you once again for catering so well for us. Thank you very much for coordinating my trip to Brazil. We enjoyed and had very nice stay! 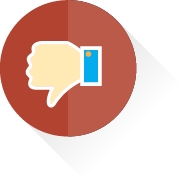 Regarding service and hotel, we have no negative point. it would be great opportunity if you can arrange this optional tour. We thoroughly enjoyed our trip and thought the organisation was fantastic- incredibly efficient. Your guides were all pleasant, the hotel fine and everything ran like clockwork. I noticed there were no other British people around which was great for us but it seems a market you should explore! I will recommend you to everyone I meet here in the UK! thanks for your E-Mail. We had a great trip and liked it a lot. Not sure if we have been lucky with the weather or if this was normal, but it was sunny all the time, so it was a great experience with the white dunes and the deep blue water. 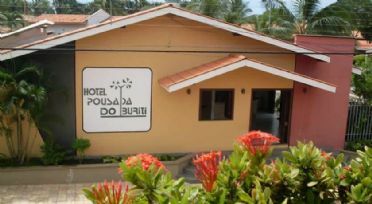 The hotels / poussada have been very nice as well, nothing to complain about. All the pickups and transportation have been in time. We really liked the boat driver who brought us to and from Atins - he liked the kids and was willing to stop etc. The trip to Lencois was excellent. 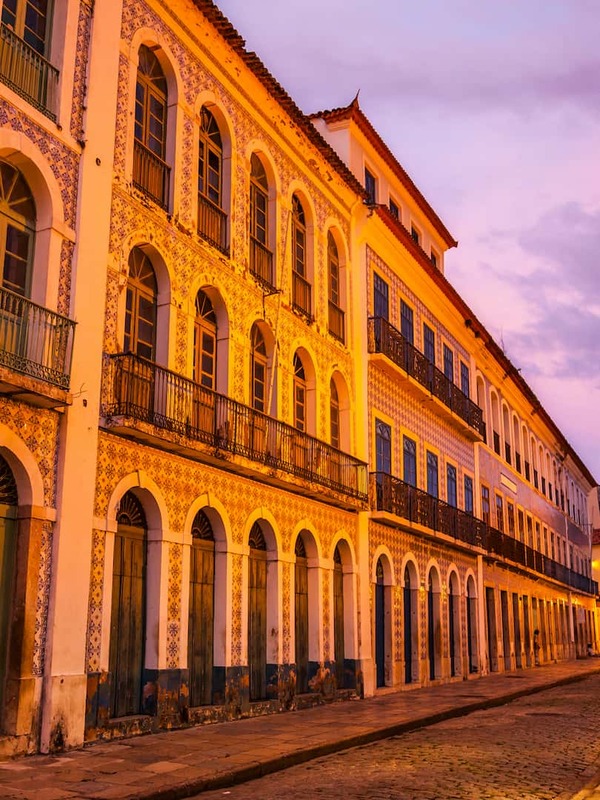 The car pickup from Sao Luis was on time and driver was profession. The Pasauda was nice/clean. Would have been good to have the option of an English guide but it didnt take anything away from the experience. All in all the tour was very good. The service inkl. pickung up at Hotel, the tours and especially the lencois itself - so beautiful! Only that we had to change busses at the return trip at the airport in SL was not that comfortable. But really, it was a nice journey. P.S: Hotel, too, people friendly and Hotel OK. Thank you for your arrangement for the great travel. I really enjoyed the tour. The hotel was nice, the program of the tour was good, too. 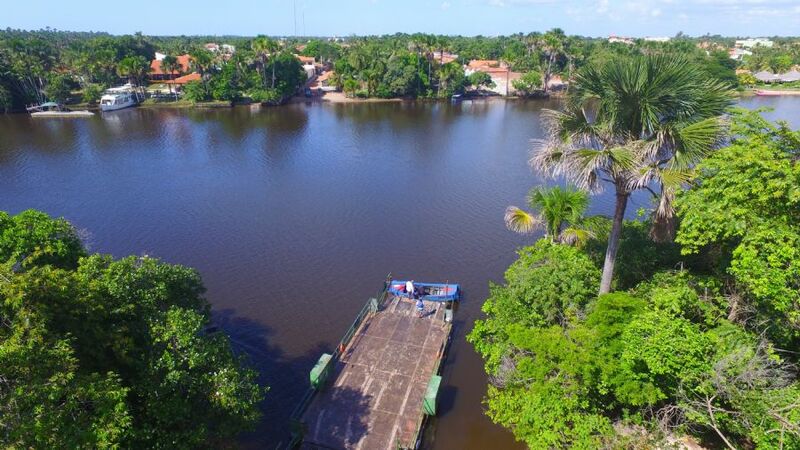 If there was one more thing I could do, I wanted to visit Lagoa Peixe. Many thanks for your letter! Sorry for the late reply. I was a little bit busy because we have some international travel events in Russia for last two weeks. Many thanks for your services that you shown me in Barreirinhas. 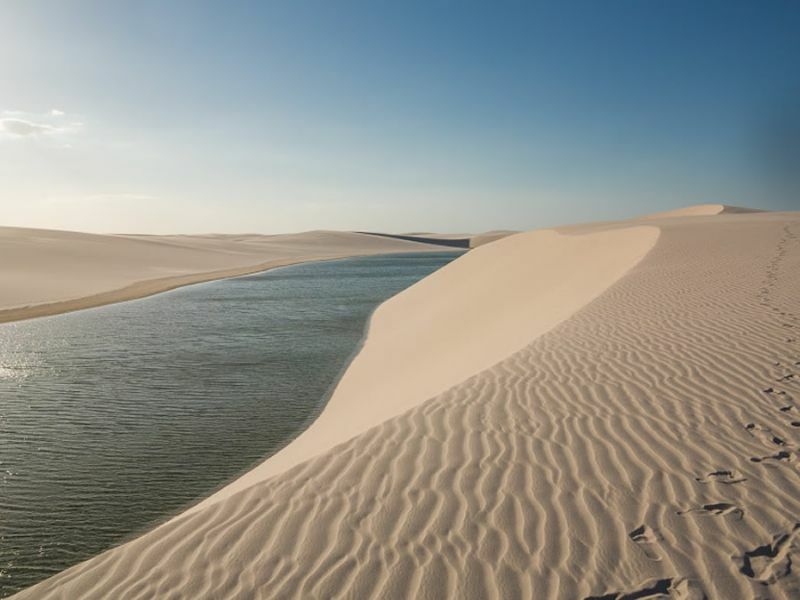 Trip to Barreirinhas, to desert in Lencois and trip by the river was very interesting! 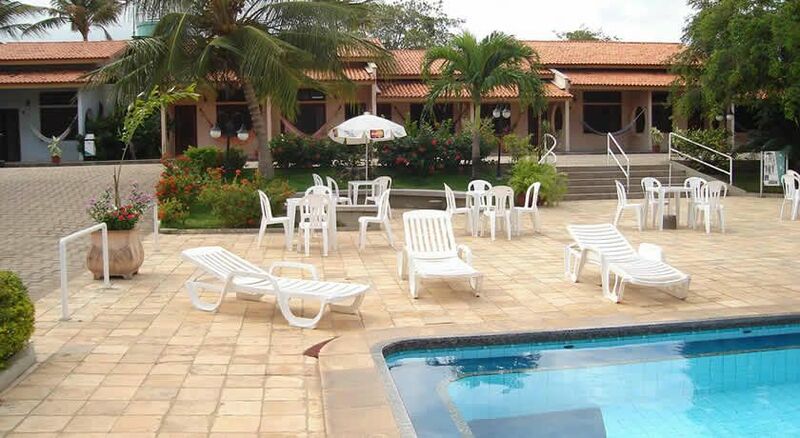 The hotel was great in Barreirinhas. Service and locations are very good, rooms are big. Staff, guides and drivers was very attentive and helpfull. Unfortunately in Lencois was not a lot of lakes and water that we expected, but I am sure after raining season is better and more impressing. I think for tourists it can be interesting to come to Lencois. Thank you for your company when we visited to Lencois. Sure, thanks to you we had so good time there. And we didn´t have any problem. Very sorry for this late reply. I returned to Japan Sep 7 via the trips to Argentina, Venezuela, and Spain after the 3 days/2 nights Lençois Maranhenses Tour. Your Lençois Maranhenses Tour was very nice thanks to you and your colleagues. The Hotel Grand Solare Lençois Flat was very comfortable. 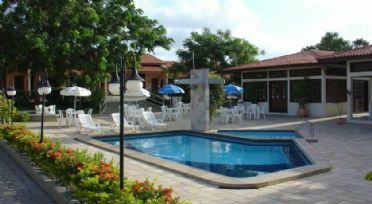 Especially, I felt easy by swimming in the pool after the 2nd day excursion. I had no problem for your trip. I am very grateful for all your help. back home in Switzerland I want to give you a feedback of our trip organized by your company: We were totally satisfied and surprised how everything went without any problems. All transfers happened on time and everywhere we were welcome. 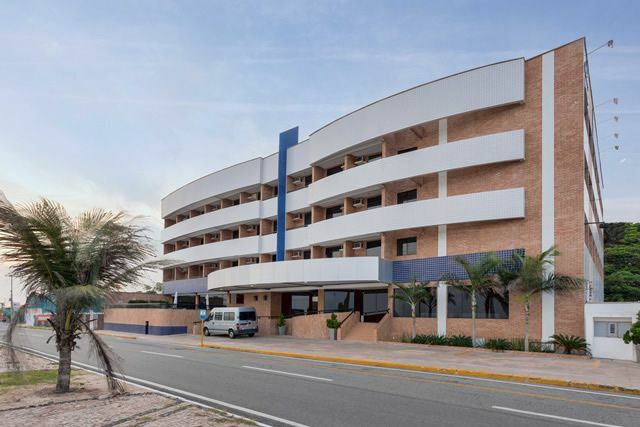 The Porto Preguicas hotel was an excellent place and we were said when we left it after two overnights. We will recommend you and your organisation without any doubt. If ever we will come back to Bresil we would choose your organisation again. 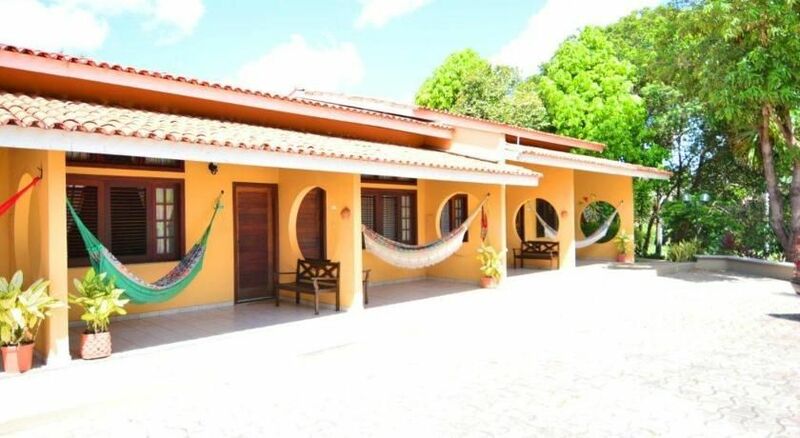 Many thanks to you and all others who made us happen an unforgettable stay in Bresil. Sandra, Martin and Yves . 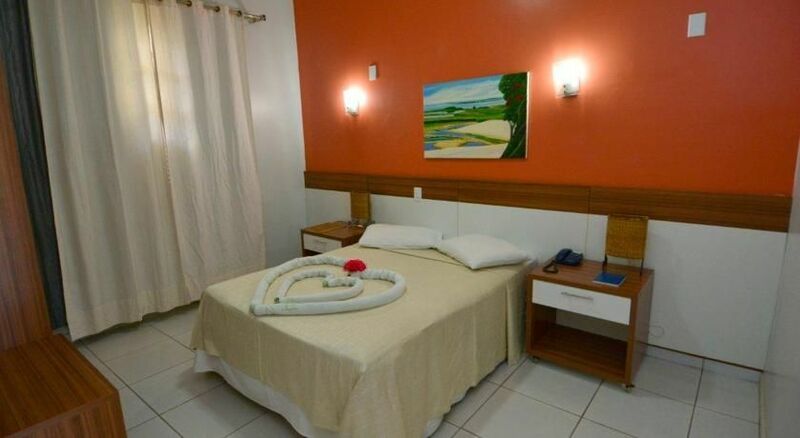 The services provided by Brasil Planet was okay. Just on the way back the luggage has been unloaded at the wrong hotel, which made us this late in the evening lose some time. Our trip was great! We were very happy with the trip and enjoyed it very much. The only problem we had was in Santo Amaro, where we were told they would pick us up at 2 pm to go to the park, but they came at 4:30 pm. But it was still very nice. Thanks so much for organizing the trip for us, especially accommodating the extra night in Caburé. 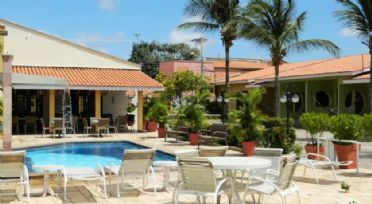 The tour was great and the Porto Preguiças Resort very nice. The tour was good and the drivers and tour operator were friendly. The food and the staff in the hotel were also good. We were a bit disappointed because there was not much water in the lagoons, but I guess its the time of the year we were not so lucky with. All in all it was a good experience. 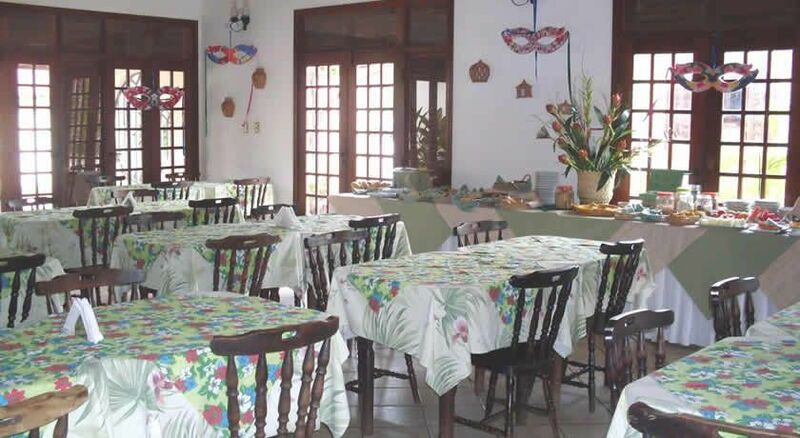 It will be nice if you can inform your clients where to eat good food in Sao Luiz, we found it very difficult to find restaurants in Sao Luiz, but otherwise everything was OK. The tour was extrememly well-organized - everything went according to plan, the pousada was really good, and the guides were very nice too. Since there were other people around who had contacts with other agencies, I could see that yours was definitely the most well-organized & structured one - especially appreciated the clear & transparent information. 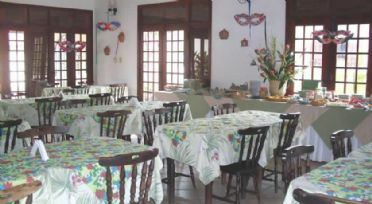 In terms of the tour, I think the only time I felt like I was in a tourist trap was the village of Cabure, where we were taken to a really expensive restaurant for lunch, and given the timing of the tour, lunch wasn´t exactly ´optional´. I´d have ideally liked to not be faced with a forced choice. 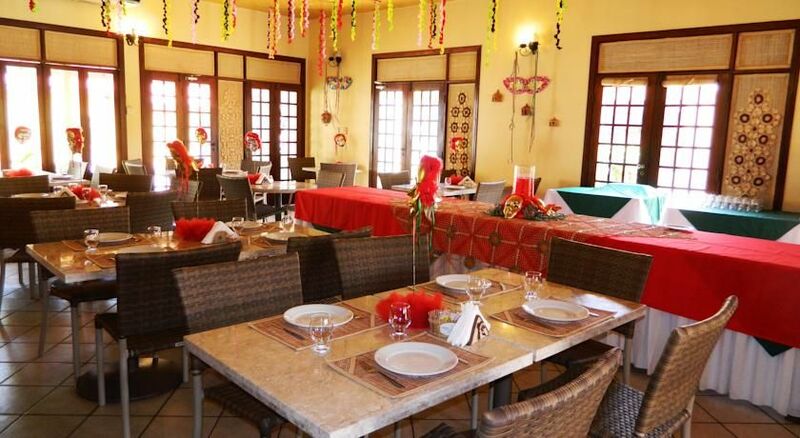 On the whole, though, you can expect a very good review coming your way on TripAdvisor (i´m a senior reviewer :)). Our trip was very good! We would like to thank you for excellent organization. We spent amazing time in Lencois. Especially I want to mention our young guide Ricardo, who gave us more time because we are foreigners and helped us in everything. Thank you for your email. We were both very happy with the trip to Lencois. Everything was ok (accommodation, the two trips..). Both excursions were impressive and we would advise anyone to go and see Lencois. Apologies for the slight delay, I ended up getting sick right after I got home. Overall we really loved our vacation to norther Brazil and the journey. Everything was planned well and we liked the hotel we stayed at. The 3 day itinerary was perfect since we were able to enjoy the dunes in the am, evening and also visit the beach, which was great. Our day 1 guide was the best, he spoke a bit of English and was very friendly. Our other two guides didn´t speak English but they also didn´t seem to explain too much in Portuguese either. 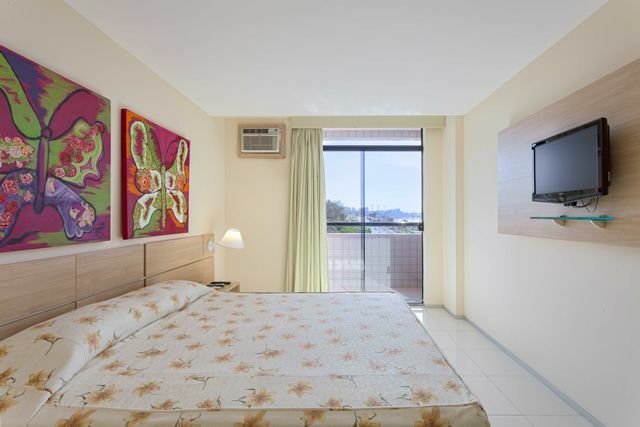 I will be sure leave a review on Tripadvisor and thank you for arranging!